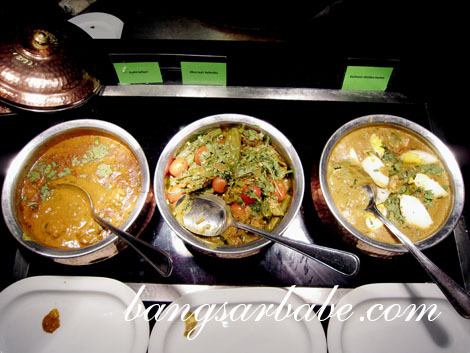 While other bloggers go for their fifth, sixth or some, their twentieth Ramadan Buffet, Gemersik Selera Buffet at The Mill Café was my second. 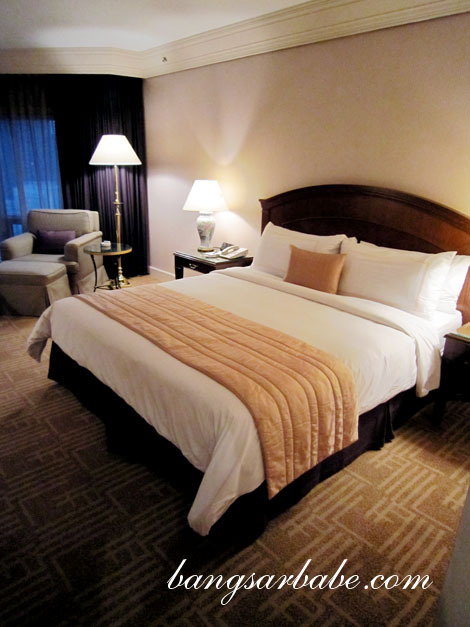 My freelance writing has taken up most of my weeknights and the PR people of Grand Millennium Kuala Lumpur very kindly arranged a time slot that was convenient for me. 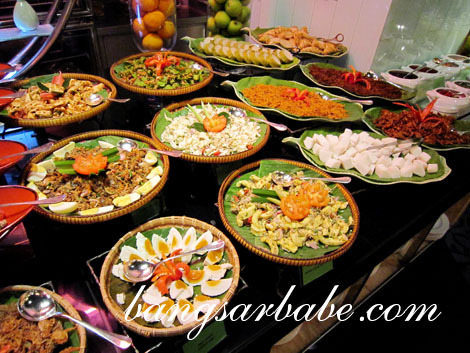 This fasting month, The Mill Café offers a good selection of Malay dishes on top of their regular buffet spread. I was treated to a feast of roast lamb, assorted fried delights, grilled and roasted meats, rendang, curries, kerabu and many more. The roasted whole lamb was served alongside a choice of mint sauce, Dijon mustard and the restaurant’s special Hollandaise sauce. The Hollandaise sauce gave the crisply roasted lamb a rich and buttery flavour with a mildly tangy aftertaste; I couldn’t get enough of this. Clearly, the rest of the diners enjoyed it for only the carcass was left by 7.45pm. Don’t worry; the staff are quick to replenish the lamb. Also delicious was the roast ribeye – juicy, tender and rimmed with a layer of tasty fat. 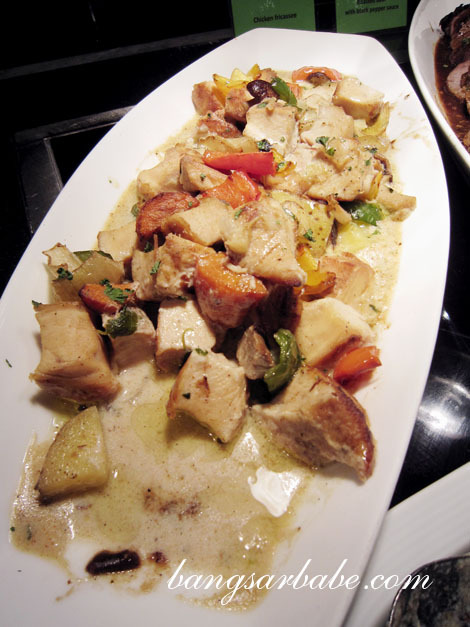 Chicken Fricassee, a stew thickened with butter and cream, was rich and deeply addictive. 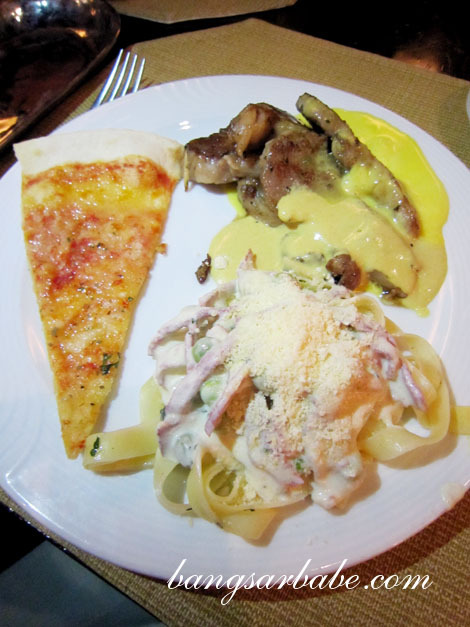 I preferred the pan-fried fish with herbs cream sauce to the roasted beef with black pepper sauce; a clear sign that I love most things creamy. 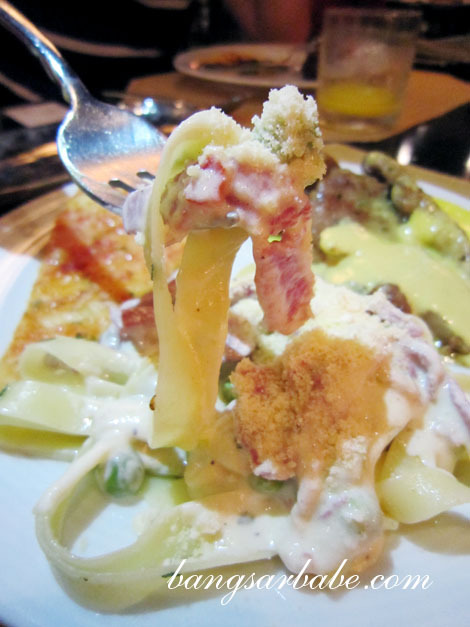 That explains why I also enjoyed the fettuccine carbonara – the gravy was justly flavoured and adequately thick from the double cream. Sup tulang — check out that fatty piece of oxtail! 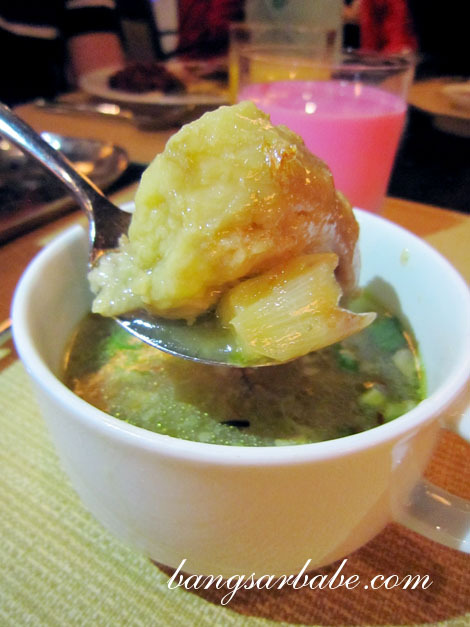 Also tasty was the Sup Tulang, where the oxtail – meltingly tender – added flavour to the soup. A few shakes of pepper kicked up the spice level and I was hooked! I had two servings of this. The sotong kunyit was left out for too long, resulting in its rather chewy texture. 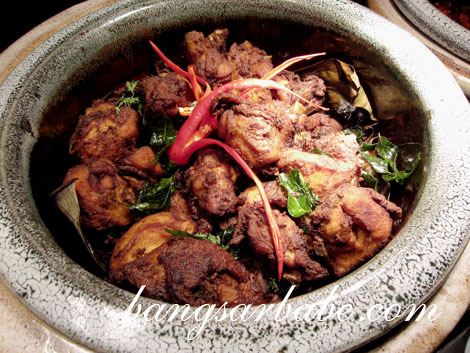 According to rif, the ayam goreng berempah suffered the same fate, but I was lucky to get a freshly fried batch. 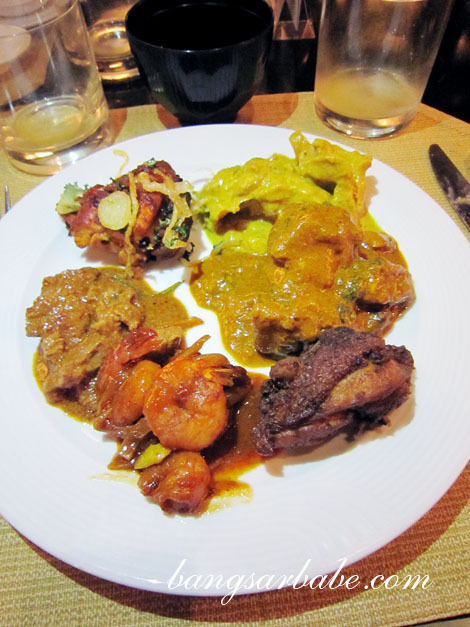 I couldn’t get enough of the udang rendang berkerisik and rendang daging – both dishes were well flavoured and aromatic from the assorted spices. If I had a stomach of a cow (oh wait, I do! 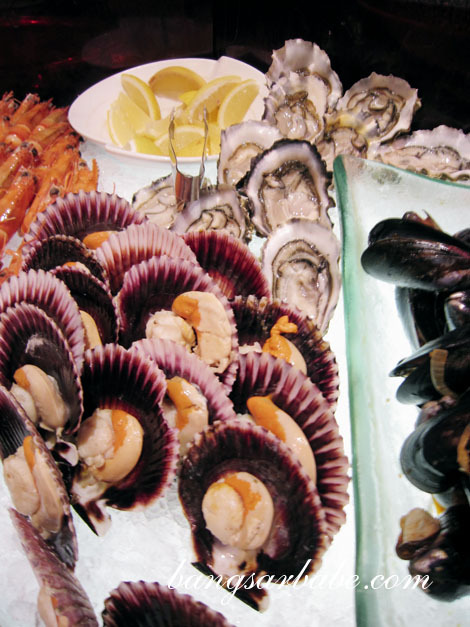 ), I’d eat more of these…with rice! But there were other things to try so I refrained myself. 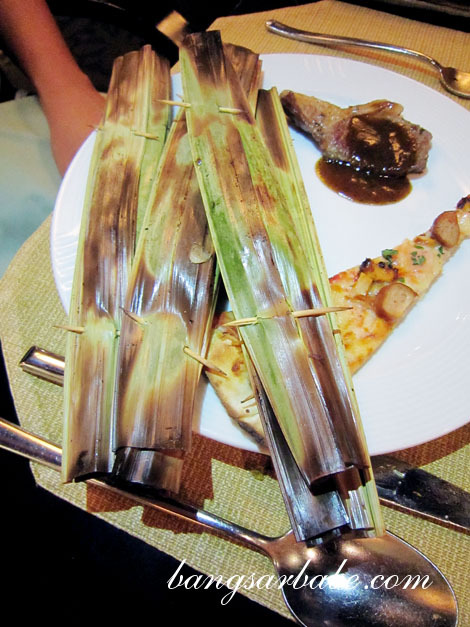 The otak otak was beautifully spiced and grilled just right, so it was moist and delicious. Overgrill it and what you get is a rubbery mess. rif and I ate 5 pieces each. I also helped myself to some Gosht Kaliyan (lamb curry) but found it just alright. Better was the Kashmiri Chicken Kurma – it was mildly spicy, thick and flavourful. 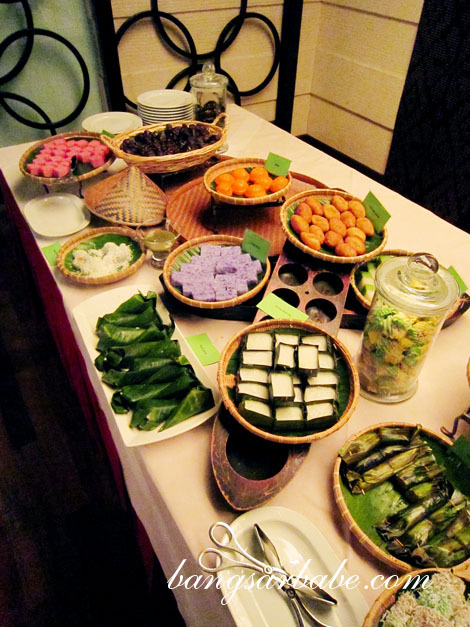 There was a good selection of kuih – kuih talam, kuih bingka, onde onde, pulut tapai, dodol, pelita tepung, kuih lapis and pulut tekan. 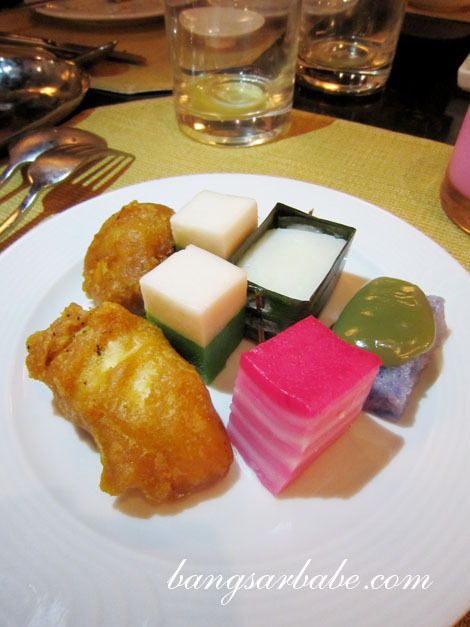 Of the lot, I enjoyed the pulut tekan and kuih talam best. Also decent was the fried banana and cempedak – both went well with hot teh tarik. 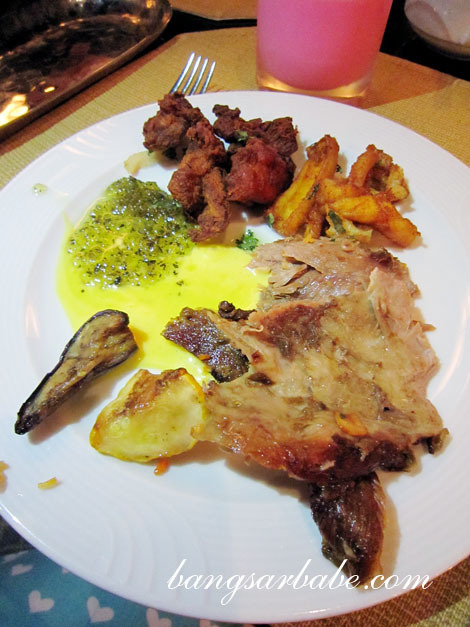 On a whole, I enjoyed the buffet spread especially the roast lamb, roast beef, ayam goreng berempah and rendang daging. 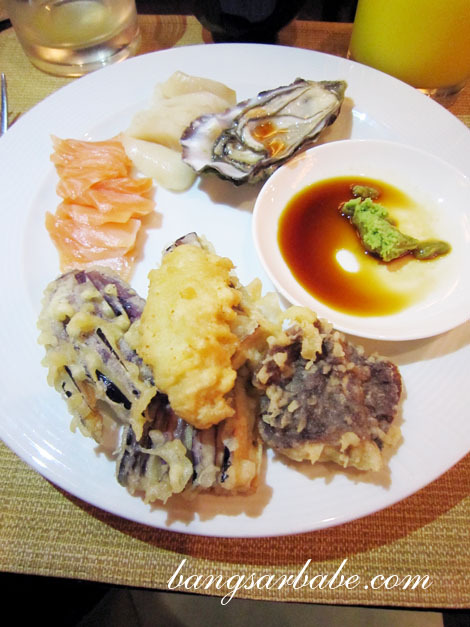 The Gemersik Selera Buffet cost RM98++ per person. Thank you Amanda & Anushya, for the kind invitation. Verdict: Pretty good Malay selection. 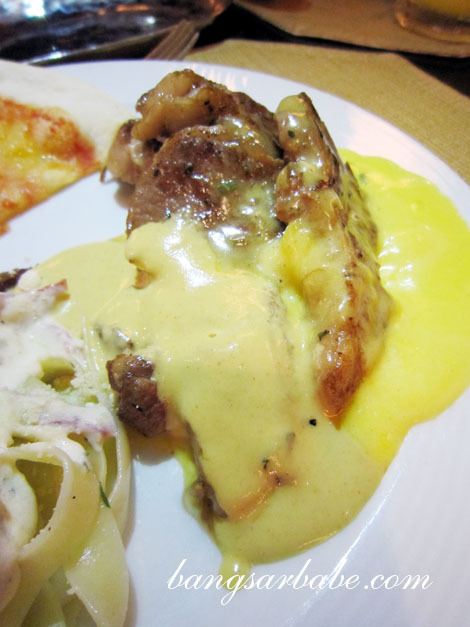 The roast lamb is a must-try, especially with the Hollandaise sauce! 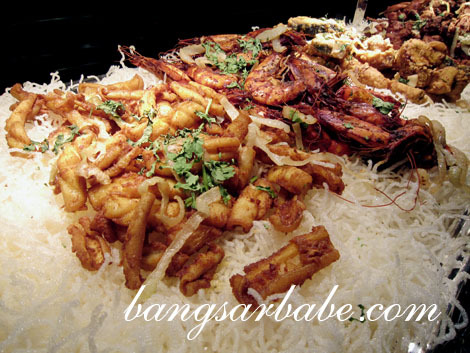 lol on the bansar babe not included in the prize..
hey the roasted lamb looks delicious…. It was good. The lamb disappeared within 45 minutes! 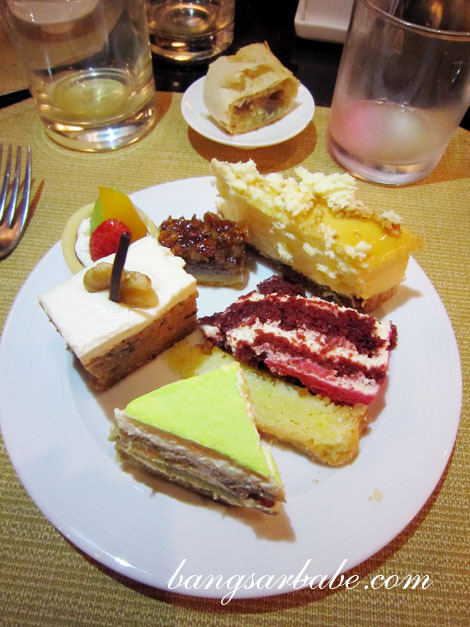 Hehe the Ramadan Buffet I had at The Mill was also my second. 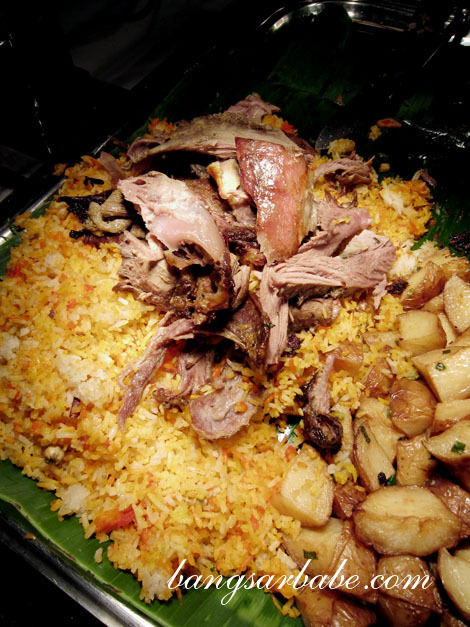 I like the tender lamb.